According to UNICEF, half of all newborns are not put to the breast within an hour of birth. And this is the reality for half of all newborns. Newborns account for nearly half of all deaths of children under five. Putting an infant to the breast within an hour of birth protects the child via essential nutrients, antibodies and skin-to-skin contact with mom. 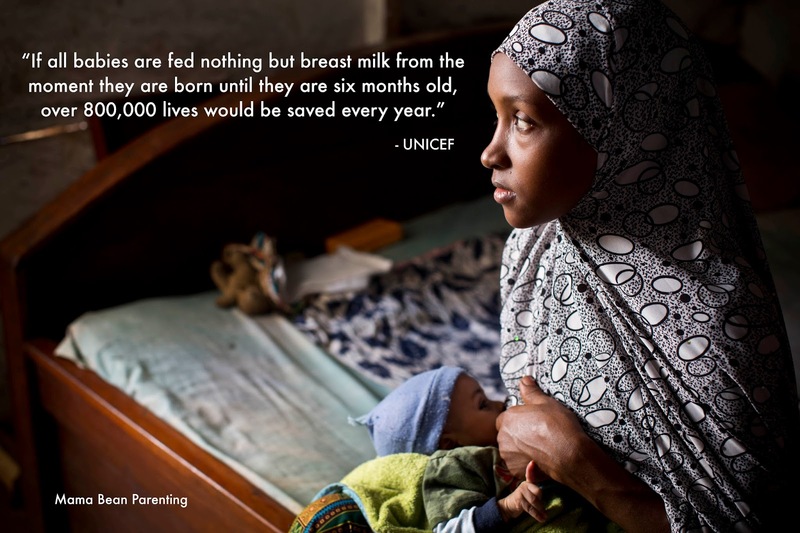 Globally, only 43 percent of infants under six months old are exclusively breastfed. Babies who received at least some breast milk in their first six months of life are seven times less likely to die from infections than those who received none. If all babies are fed nothing but breast milk from the moment they are born until they are six months old, over 800,000 lives would be saved every year. The longer breastfeeding is delayed, the higher the risk of death in the first month of life. For many, this message is difficult to read. Many of us have faced traumatic births or a lack of immediate postpartum support, leading to a loss of that crucial knowledge-transfer that could go some way in bettering these statistics. And globally, there is still a vast amount of work to be done. In the Middle East, North Africa and in South Asia, for example, mothers who deliver with a skilled birth attendant are less likely to initiate breastfeeding in the first hour of life, compared to women who deliver with unskilled attendants or relatives. It seems that the art of breastfeeding truly is handed down between generations. Yet with better training, stronger support, more information and an increase in the awareness of the significance of breastfeeding, we can surely expect to see improvements in the coming years.